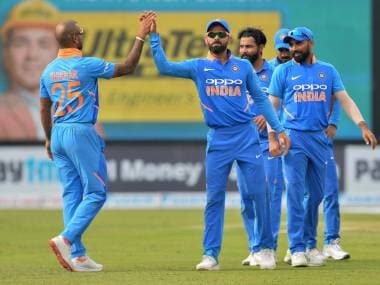 India's batting line-up is heavily dependent on top order in both the white-ball formats, but while T20 cricket covers up their shortcomings, they are often exposed in the 50-over format. Leeds: Sunday night was a marker that India, as a country, is yet to come to terms with. Yes, the football World Cup is over. The quadrennial four-week-long craze is over. Attention now turns to the cricket World Cup, only eleven months away. Yorkshire County Cricket Club at Headingley helps you remember this. There is a huge grandstand being constructed at the Rubgy End, and it is but impossible to miss that this is part of the ongoing preparation for the big tournament here next summer. “If we can use this game (third ODI) as a semi-final, or final, or a must-win game with the pressure on, we can learn what we are doing wrong if we don’t win, or what we are doing right if we do win,” said England pacer Mark Wood on Monday. Clearly, the hosts have a right idea about how to go about this final limited-overs’ engagement for the summer. Winning the ODI series might just give them bragging rights ahead of the Test series starting on 1 August. But that is loose change when compared to the grander prize that waits at Lord’s next July. For England, that is the sole target, or has been since the embarrassment at the 2015 World Cup. They also know which team stands in their way. India. On Saturday at Lord’s, before the match reached its eventual conclusion, everyone — well, almost everyone — was talking about the same thing. A year onwards, this could be the World Cup final. By the end of that evening, at least Indian fans were left wishing for a different script. For, India’s weaknesses were laid threadbare. Let it be said here that this is a different team in ODIs and T20Is formats. Mind you, the names are similar — look at any given ODI/T20I in the past six months and at least ten names will be the same in full-strength squad. There is constancy in that the batting line-up is heavily dependent on top order in both the white-ball formats. Yet, T20 cricket covers up India’s shortcomings that ODIs cannot hide. Right or wrong as the fans were to boo MS Dhoni, their displeasure was a pointer to this difference between India’s ODI and T20 performances. Take Dhoni alone. In the 2018 IPL, he was a batsman reformed, coming up the order with a licence to fire early. Perhaps T20Is might allow him the same freedom, but 50-over cricket doesn’t. Herein, he has to come down the order and play the finisher, never mind that he is not the same as five years ago. There is no liberation in a batting order promotion. 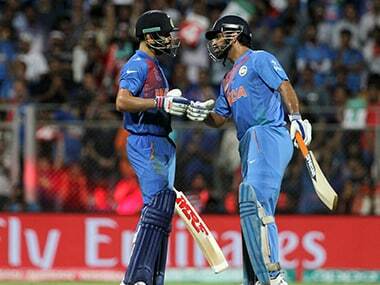 India have to work with a double pivot of Dhoni and Virat Kohli. On the face of it, that is a staggering statement. Currently, India have KL Rahul doing the number four job. 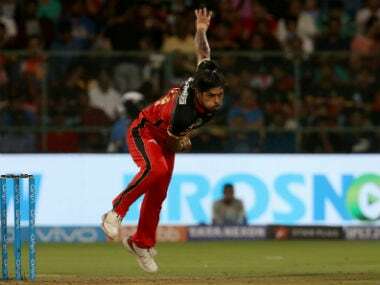 Judging by his Lord’s outing, he is yet to settle down into the role despite a second attempt in less than 12 months (first was in Sri Lanka in August 2017). Then there are Dinesh Karthik and Shreyas Iyer, sitting on the bench and awaiting their next chance. It is a never-ending circle. 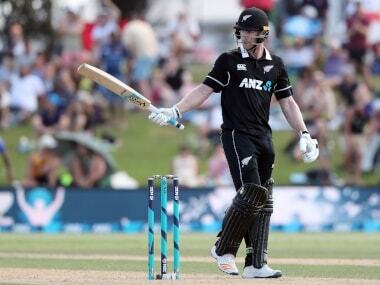 Bangar pointed out that there were 16-17 games remaining before the World Cup, and yet listed three additional names to three batsmen vying for the same role at present. The long list remains the same — it has grown longer in fact with the addition of Rayudu — and the time to cull it is quickly passing by. And this is only the half of it. The other concern for India, emanating from that Lord’s defeat, was a long tail that simply is too rigid to wag. It should remind the team management about Bhuvneshwar Kumar’s innings in Pallekele when he dug India out of a hole with maiden ODI half-century, and took them across the finish line in Dhoni’s company. Never mind what he can do with the ball, batting at number eight Kumar allows the possibility of a later-order partnership. He bowled in the nets on Monday, as he did pre-match in Nottingham and London. It has been a progressive recovery but there is the small matter of proving his fitness on Tuesday before the game. India’s fate in this series, and perhaps their thought process on this road to the World Cup, is dependent on the outcome of that fitness test. England: Eoin Morgan (c), Jason Roy, Jonny Bairstow, Jos Buttler (wk), Moeen Ali, Joe Root, Jake Ball, Liam Plunkett, Ben Stokes, Adil Rashid, David Willey, Mark Wood, James Vince.